We think the name of this company is so apt. Cakes are a simple delight when they are as good as these. That said, they range from simple to very elaborate in shape and size. From mini-cupcakes to major celebration cakes, Caroline Hutchinson and her team are in demand. They started selling at Victoria Square in Belfast at the Sunday market and they have since added bespoke orders to their repertoire. Everything is made in small batches, with local and organic ingredients. Flavour combinations include the ever-popular Salted Caramel, Oreo, Chocolate and Peanut Butter, Raspberry Ripple, Red Velvet, Malteser and many more. 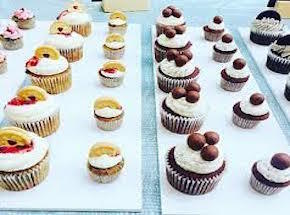 Prices start at just 90p for a mini cupcake.